Katharine Whitman has been a photograph conservator in Toronto since 2007, both in private practice and at the Art Gallery of Ontario. She has cleaned, repaired and conserved photographs from private collections, government agencies, museum collections and art galleries. Katharine is currently the photograph conservator for the Art Gallery of Ontario, in Toronto, Ontario, Canada, where she is responsible for the care of their collection. Prior to working at the Art Gallery of Ontario, Katharine was a two-year Mellon Fellow in the Advanced Residency Program (ARP) at the George Eastman House International Museum of Photography. 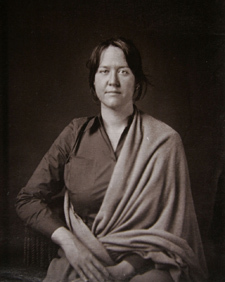 Her work there culminated in the paper, The History and Conservation of Glass Supported Photographs (2007). Katharine is also sought-after speaker and educator in the field. She has lectured and taught workshops on the conservation of photographs on glass at the George Eastman House (Rochester, NY), the Art Gallery of Ontario (Toronto), the Getty Museum (Los Angeles) and the FotoMuseum (Antwerp, Belgium.) 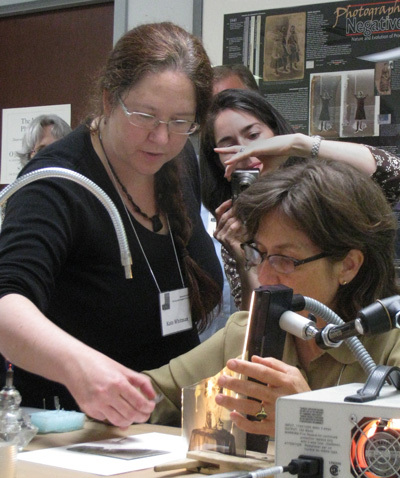 She is currently working on a chapter on the conservation of photographs on glass for the AIC-American Institute of Conservators – Photographic Materials Group publication: The Photograph Materials Catalogue. Katharine has published a number of articles in Topics in Photograph Conservation.